For the perfect fit. 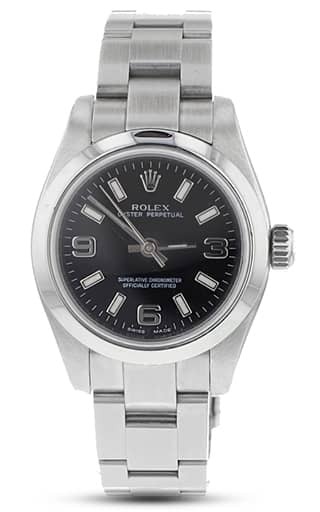 Currently, we feature a Rolex Oyster Perpetual midsize 31mm steel pre-loved watch with a blue dial and Oyster bracelet. We also offer a 30-day money-back guarantee with each purchase and a one year warranty on most watches. In addition, we offer personalized customer service. So, don’t hesitate to contact us for assistance. Also, we offer after-sales support and a Lifetime TradeUp Guarantee on qualified items. This means you can come back to us when you want to upgrade to another model. Rolex have introduced many innovations, in fact the company’s history is littered with them. The company was originally formed to popularize wristwatches for both men and women in a time when the pocket watch was still king. The fact that the wristwatch became so popular is in part, thanks to Rolex. Other innovations include producing the first waterproof watch, the first watch to automatically display a date, a watch that could tell the time in two different time zones, quartz movement, self-winding mechanisms and a range of other improvements. The first waterproof watch was the Rolex Oyster launched in 1926. It was not only waterproof, but dustproof and airtight too. While exhaustively tested, it wasn’t until 1927, when Mercedes Gleitze swam the English Channel while wearing one that it’s waterproof credentials were truly proven. The watch became incredibly popular and brought fame and popularity to the luxury brand. The Rolex Oyster was again to receive another first in 1931. This time for being the first self-winding mechanism with a perpetual rotor. This design became the basis for every other self-winding watch in the world. The 1945 Rolex, the Oyster DateJust was the first watch ever to display the date. This was another innovation the Swiss watchmaker introduced which was taken up by just about every other watchmaker in the world. The Rolex Oyster GMT Master was introduced in 1955 to allow Pan-Am pilots to be able to tell the time in two different time zones at once. This was unheard of until that time, and although it didn’t take off as much as it was anticipated, it was well received at the time. Rolex were also instrumental in the development of quartz time, and launched quartz watches to match. Despite pioneering the perpetual movement, quartz was still a mechanism Rolex wanted to explore. 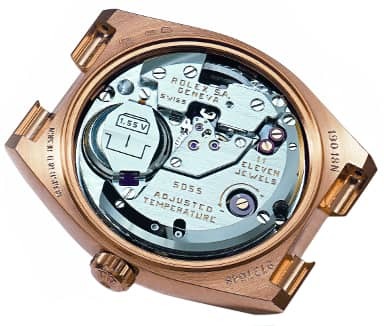 They, along with other watchmakers formulated the Beta 21 Quartz Movement. This was put into action in the Rolex OysterQuartz, the finest example of quartz watch ever made. These are just a few of the innovations pioneered by Rolex. As well as making watches that could cope with the extremes conditions this planet could cope with, the company also improved and innovated to advance watches for the whole world. What’s your personal favorite innovation? Did we miss anything big? Let us know below! As we’ve seen, the Oyster Perpetual is a wide and varied Rolex collection with an abundance of styles, reference numbers, and sizes. Sometimes, it’s a challenge to make sense of it all since there are so many details to comb through. Take the midsize Oyster Perpetual for example. While today, Rolex categorizes the Oyster Perpetual 34 and the Oyster Perpetual 36 as midsize options. However, prior to 2014, that was not the case. The original midsize Oyster Perpetual included a 31mm Oyster case. With that, let’s have a closer look the midsize Oyster Perpetual ref. 77080. 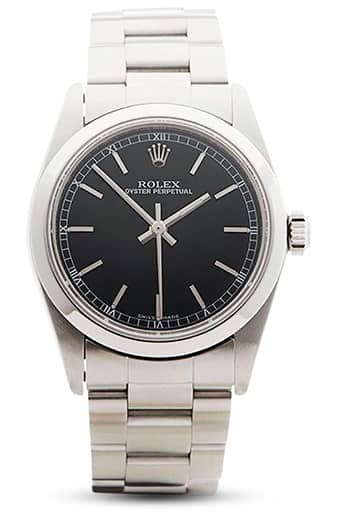 The midsize Oyster Perpetual ref. 77080 is exclusively available in stainless steel and sports a 31mm Oyster case along with a matching sporty Oyster bracelet. Sitting in between the ladies and mens Oyster Perpetual sizes, the 31mm midsize version was targeted towards both male and female clients. However, according to today’s watch trends, 31mm would probably be better suited for a woman’s wrist. There are a few dial styles to choose from within the midsize OP lineup. A particularly popular one is the Explorer-style dial with the signature oversized 3, 6, and 9 numerals accompanied by stick indexes. This type of watch face adds a sportier touch to the midsize Oyster Perpetual. This is almost like a ladies’ version of the Rolex Explorer. Otherwise, for a dressier look, there are Roman numeral dials, along with simple stick markers dials too. As with all other OP watches, the midsize Oyster Perpetual ref. 77080 is a time-only model. The dial of this Rolex three-hander is especially minimal due to the lack of the “Superlative Chronometer Officially Certified” label typically found on other Rolex watches. But it is indeed COSC-certified. At the heart of the midsize Oyster Perpetual ref. 77080 is the Rolex Caliber 2230—a version of the Rolex Cal. 2235, but without the date function. The automatic mechanical movement (hence the “perpetual” in the watch’s name) operates at 28,800 beats per hour and offers a power reserve of 42 hours.  For around $4,000, ladies can enjoy an understated everyday Rolex luxury watch crafted in robust stainless steel and supported by a precise and reliable in-house watch movement. An ideal timepiece for a chic and modern lady, the midsize Rolex Oyster Perpetual offers all the fundamentals without the any of the frills.